If you plan on spending time in cold water, a hooded wetsuit is a must. Not only will it make for a more comfortable experience overall, but it will slow heat loss down, ultimately allowing you to stay in the water longer. Hooded wetsuits are a particularly good option if the water is in the range of 35°F & up, and strongly recommended in anything below that, where good exposure protection is of critical importance. The hooded wetsuits listed below are all designed to add an extra layer of warmth and protection regardless of whether you’re partaking in underwater activities like scuba diving, or more surface-based activities like surfing, wakeboarding, paddling and swimming. The hooded wetsuits at Wetsuit Wearhouse have all been designed with comfort, safety, and warmth in mind. Additionally, the wide range of options available for you to choose from means that you can pick the suit that best suits your activity and the water temperature. Hooded wetsuits are available in many forms, including those with built-in hoods, detachable hoods, and separate bib-style hoods. If you’re participating in an activity that won’t have you turned upside down, a glideskin neck seal may be just what you’re looking for as it will significantly reduce water entry. In the same vein, modular collar hooded wetsuits, keep cold water from flushing the suit, and are a good option if you’re in the water year-round and would like to have the ability to remove the hood. All of the hooded wetsuits sold by Wetsuit Wearhouse are designed to be both flexible and form fitting, two essential characteristics for cold water sporting activities. Depending on the wetsuit model, hoods are either liquid taped or stitched, and are always designed to limit cold water from entering the suit. Some hoods even have special linings that either wick moisture away, or keep warmth trapped in. Whether you’re surfing, kiteboarding, wakeboarding, kayaking, or scuba diving, with so many hooded wetsuit models for you to choose from, there’s bound to be something that is right for your exact needs. 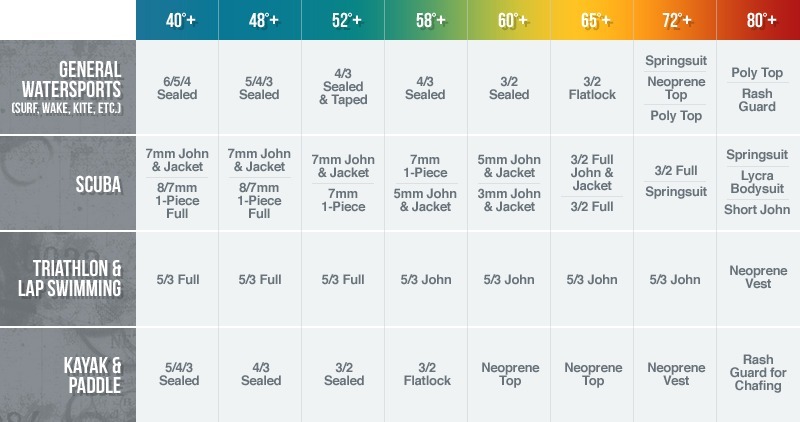 Need Help Choosing a Hooded Wetsuit? Because there are so many hooded wetsuit options available at Wetsuit Wearhouse, we understand that you may sometimes need a little help choosing something that is right for you, your activity and the water temperature. To learn more you can either visit our free online Help & Advice section, or call 866-906-SUIT (7848) and speak to one of our experts.